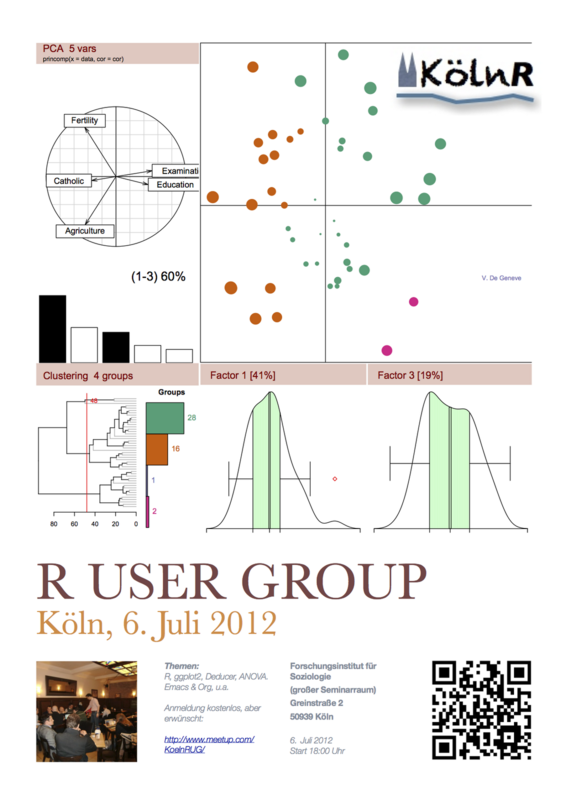 The next Cologne R user group meeting is scheduled for 6 July 2012. All details are available on the new KölnRUG Meetup site. Please sign up if you would like to come along, and notice that there is also pub poll for the after "work" drinks. Notes from the first Cologne R user group meeting are available here.